New Delhi : Love Farhan Akhtar's voice? Well here is a treat for you. The latest track Manzar Naya from the upcoming movie Rock On 2 has been released. The song is soothing, relies mostly on guitar and lyrics voiced by Farhan Akhtar. "Sometimes it's not about the noise, lights or the stage. Manzar Naya is about three good friends reminiscing their old times." The music has been given by Shankar Ehsaan Loy, while the lyrics have been penned by Javed Akhtar. Rock On 2 stars Farhan Akhtar, Arjun Rampal, Shraddha Kapoor and Purab Kohli in the lead roles. The film is scheduled to hit the silver screens on November 11, 2016. Loved the song, looking forward to setting this one as your caller tune? Here is the simple way to execute the same. Manzar Naya with which we just took a dip in our memory lanes has been recorded at Yash Raj Studios by Manasi Tare, Abhishek Khandelwal & Shantanu Hudlikar. The song has been mixed by Shantanu Hudlika. 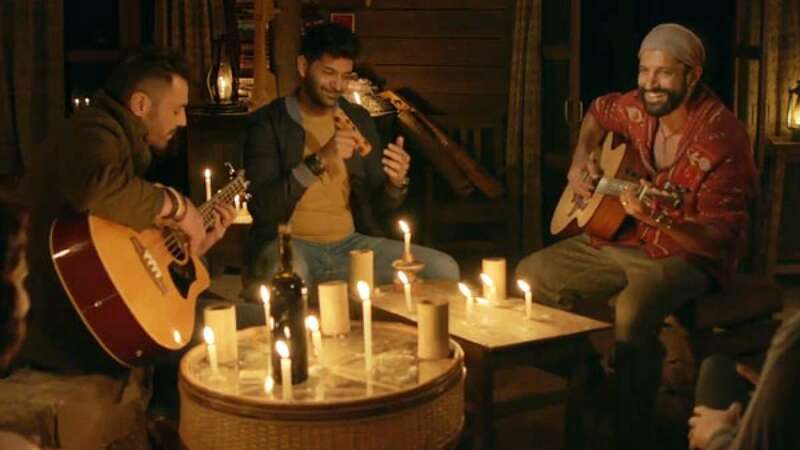 Actor and singer Farhan Akhtar shared the song with his fans on a social networking site with a very sweet message saying, "Start your day with the acoustic treat by Shankar Ehsaan Loy and Javed Akhtar Jadu." Well, you won’t regret doing the same. Do share your thoughts on the song with us.